There’s nothing like a team-building exercise outside of work (and working hours!) to bring your colleagues together, giving everyone the opportunity to unwind and bond in a more social setting. An outing that’s relatively unconnected with work will create confidence and morale, establishing closer relationships which will then transfer to the workplace. In order for any team building exercise to work, it’s really important to remember that people are different, that that there will have to be some compromise along the way to find a suitable activity that everybody feels comfortable taking part in. Furthermore, the different physical abilities of each worker needs to be taken into account, and perhaps alternate options offered so that everybody feels as relaxed as possible. 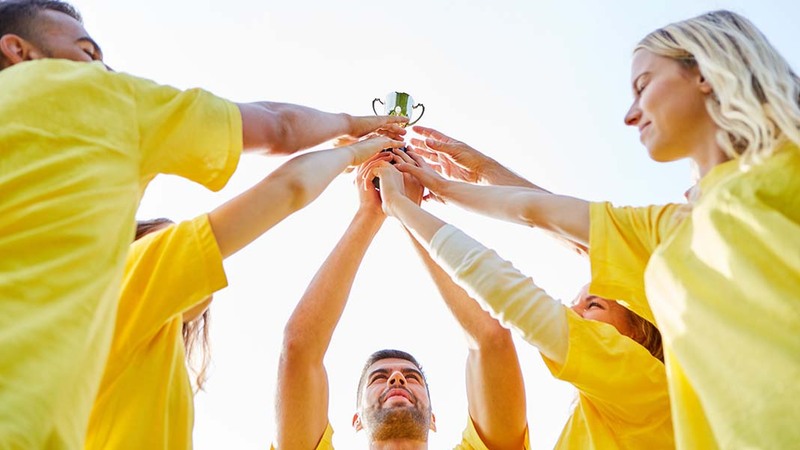 When a team building activity is successful, you’ll find that your team connects; their strengths will be highlighted, while their weaknesses can be identified and addressed. Most importantly, everyone will develop their problem solving skills and creativity, which can be vital in group situations, bringing newfound positivity to your work environment. And we all know that a happy worker is a productive worker! When you’re looking into booking, activities such as go karting or laser tag might not seem like the obvious choice, and you may wonder why they would be beneficial to your team. But activities like this will encourage teamwork and bonding; they’ll be new, and completely different to work! A little healthy competition is always fun and is an ideal way to boost morale! Consider a small prize-giving ceremony at the end of the day—you’ll be amazed how competitive everyone becomes when there’s a trophy up for grabs! Sport is without question one of the most valuable teambuilding activities. It’s the perfect way to encourage some team spirit throughout your workforce. Team sports not only benefit your team’s working relationships by creating stronger bonds, but will also increase their physical activity, thus improving their overall health, both physical and mental. Whatever your chosen sport, you could get an in-house team together and compete in local leagues or against other small businesses. It may be that some of your workers don’t have the agility and fitness to be an active member of a sports team, but they needn’t feel excluded, as there will always be other jobs that need doing: admin and treasury, securing sponsorship, making refreshments, or simply turning out to support and spectate! Maybe you have some high fliers within your workforce that want to go a step further and enter the world of…. Your perception of extreme sports may be way off the mark! Some think that participants have to have a certain type of personality: the type that is always seeking thrills, taking unnecessary risks, and chasing excitement in order to get that all important adrenaline rush. But risk is not always the focus. Of course, there will always be a degree of excitement and adrenaline involved, but most participants usually display a low anxiety level, and are well in control of emotional wellbeing. They’re usually intelligent, assertive, and independent, which suggests that the choice to take part is considered and well informed, rather than frivolous! These characteristics may well describe several members of your workforce, and if they do then they may well be up for a challenge! Take skydiving, for instance. Tandem Skydive trial jumps are a great and safe way to start, either as a one off jump (that could be generously sponsored to raise funds for a charity of your company’s choice) or as a pathway to becoming a qualified skydiver. Reputable skydiving schools such as North London Skydiving offer a wind tunnel experience included as part of their package (which is chargeable by other schools) giving the opportunity to ‘practice’ while remaining on terra firma. Sponsorship could see the cost of the jump absorbed into the funds raised, and even though not everybody may be suitable or eligible to jump (medical conditions need to be taken into consideration) they can all get involved in effective teambuilding by supporting those who are. Get your team away from the office and lock them in a room! No, no, you won’t be leaving them there, but in order to get out, they’ll have to put their heads together to solve a series of themed problems and puzzles. An escape room is a fun alternative to boring team meetings, ensuring that your workers communicate effectively with one another, put their strengths and weaknesses to the test, and work as a team. If you have enough people, you could have more than one team, again, prompting a little competition. Who’s brave enough to try and beat the boss?! 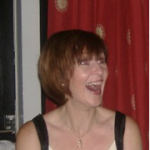 Jane Taylor is a freelance writer, with experience in many different fields. Her client base is wide and varied, but one of her favourite topics is leisure activities, and in particular writing for North London Skydiving Centre.